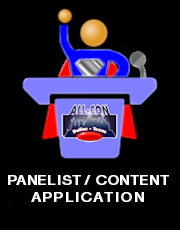 To see a brief listing of what ALL-CON has to offer (all on one page), please Click Here. Read the "News Blog" and follow ALL-CON on Social Media to find out the latest news about the convention. 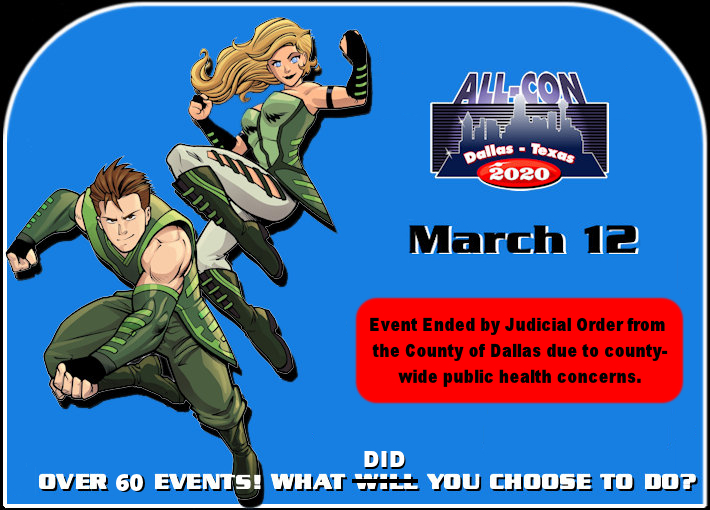 Reserve the weekend for ALL-CON in your planner, organizer, or calendar. If you don't keep a calendar or are concerned that you might forget or miss the weekend, buy your ticket now and you will receive updates throughout the year. 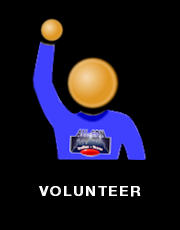 Your badge will be ready for you at Will-Call for the convention, so you don't have to keep track of it all year. 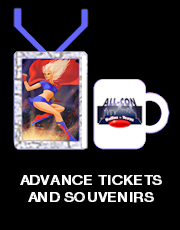 Coming to ALL-CON is as easy as it is great fun! Along with the many features that are available daily, our schedule includes unique discussion panels, workshops, demonstrations, and performances every hour. Most are not repeated due to having such a large varitey of choices to present in a short three days. The convention day ends after 2 a.m. on Thursday, Friday, and Saturday nights. Our hotel offers special rates to convention attendees, superb room accomodations, an affordable lobby restaurant, and free parking. Six elevator banks move traffic quickly between the convention space and the 429 guest rooms. DFW International Airport and Dallas Love Field airport are each approximately 30 minutes away for fans flying into Dallas for the convention. 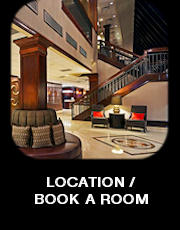 The hotel is near the Dallas Galleria, accessible by the highways I-75, I-635, and the Dallas North Tollway. We'll See You In March! Walk right past the registration line in the lobby and up to the Will-Call booth by Registering today. When calling into the hotel at 1-800-227-6963 to book your room, give them booking code "LLN" and you'll be amazed at how much you save. The Crowne Plaza in Addison (North Dallas) and ALL-CON both thank you for attending the convention.